Relive all the action of the final round of The Masters where 2012 Masters Champion Bubba Watson went wire to wire with rookie Jordan Spieth. Bubba da Bubba da Bubba Button Up! Masters Champ 2.Oh. Congrats, buddy! 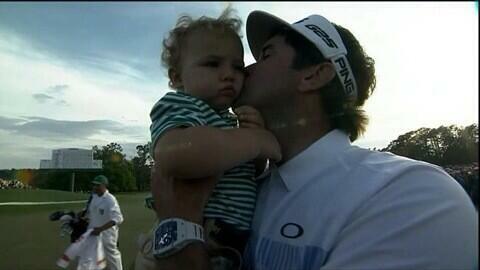 @bubbawatson CONGRATS on your second Green jacket @The_Masters . Love watching you see the shot and execute. Jimenez & @RickieFowlerPGA pairing easily the coolest group on course for many reasons #masters ???????? What a boss! 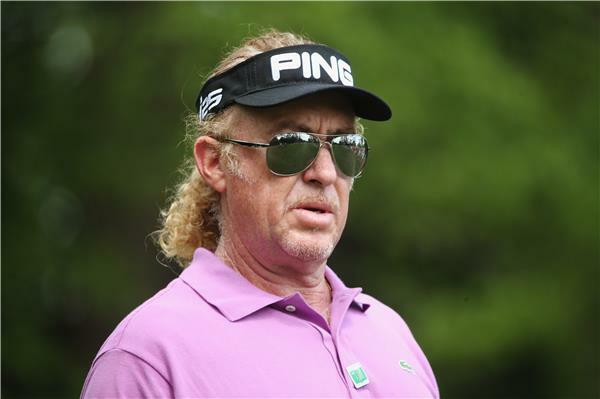 Jimenez finishes at 4-under and outright 4th. Bubba Watson is three up with two to play. He never lacks confidence so surely he must already be planning his Champions Dinner menu. Wow this is an interesting stat...would be spine tingling if it happened again! The last rookie to win at the Masters, Fuzzy Zoeller in 1979, came from 3 strokes back with 3 holes to play to win (via a play-off). Spieth watches his birdie putt slide by. He makes his par putt but does so does Bubba. Will we see something dramatic over the last three holes? It's not out of the question but Spieth is going to need some big self-belief to get it done. No one wins the Masters without being a great player, but Bubba is very much a “horse for the course” at Augusta National. 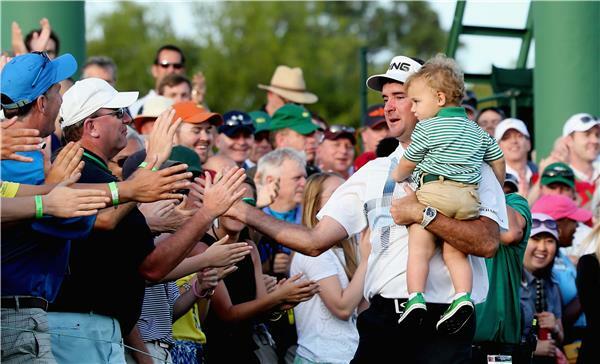 That was just a crazy shot from Bubba Watson. He took a big chance going through the trees on 15 but pulls it off like only Bubba can! Bubba Watson leads Jordan Spieth by two shots playing the 13th. It's absolutely not over, anything can happen on Masters Sunday. Aussie golf fans know that better than anyone! This will test Jordan Spieth. He is in Rae's Creek on the 12th, will be interesting to see how he recovers and handles the pressure from here. PGA Tour of Australasia Director of Tournaments is a Rules Official at Augusta this week. Here is his explanation of the 12th. 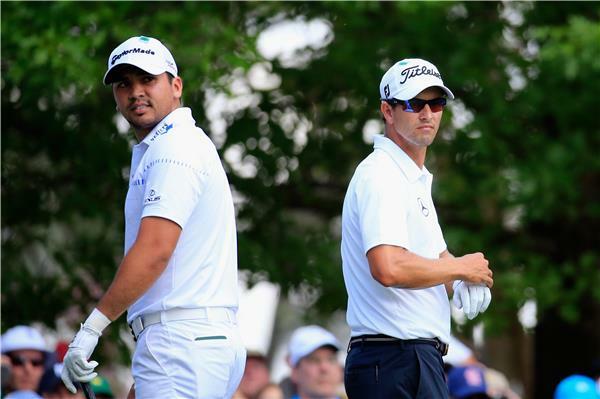 Adam Scott and Jason Day have finished their 2014 Masters campaigns. Scott finishes 1-over and T16. Day finishes 2-over and T22. You would think it wasn't the results they were hoping for. But they are still fantastic ambassadors for Aussie golf! Scott and Day both add another birdie to their scorecards at the 8th. They are now 1-over and T15. Here is a re-play of Scott's birdie on the 7th. Unfortunately with back-to-back bogeys on 5 and 6 Senden drops back to join them. 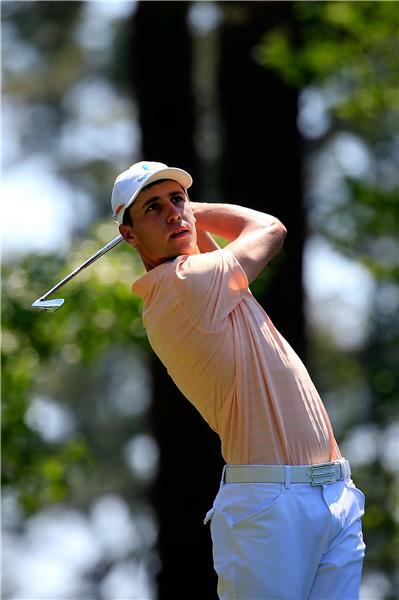 Oliver Goss is the first Australian to finish his Masters Tournament. In his Masters debut he finishes 10-over and 49th with rounds of 76, 71, 76, 75. At just 20-years of age it was an incredible experience and opportunity which he handled with maturity beyond his years. Goss was the only amateur to make the cut and will be the first Australian since Jim Ferrier in 1940, to make a trip to the Butlers Cabin to accept the trophy for low amateur. Jason Day and Adam Scott, Australia's top-2 players in the world are playing together in the final round. They each make birdies at the par-4 7th but at 2-over and T20 are well off the pace. Would be fantastic if this was the start of a birdie blitz for the pair. Jordan Spieth goes left off the tee, Bubba Watson goes right. Perhaps a few nerves for the lead group. Meanwhile Rickie Fowler is closing the gap. He opens with a birdie to be 4-under. Bubba Watson and Jordan Spieth come into the final round tied for the lead at 5-under. Watson is aiming for his second Green Jacket in three years. While Spieth is looking to become the youngest winner since Tiger Woods to win the title. At 20 years of age Spieth is 15 years younger than Watson and was still an amateur in 2012 when Watson won The Masters. 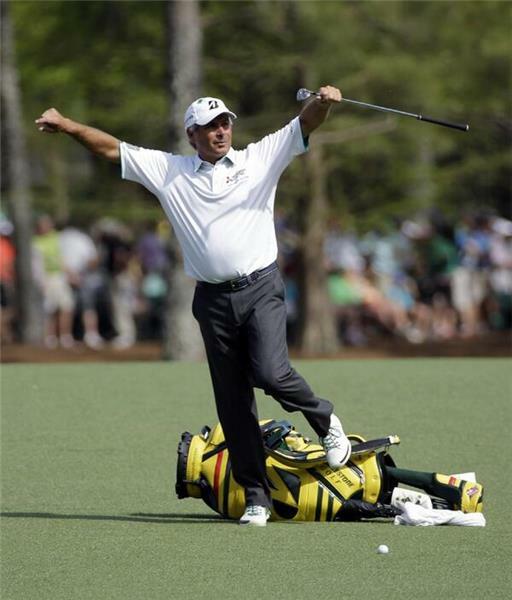 You have to love Fred Couples! He has opened with two birdies today to be T5. Now 54, Couple has finished inside the top-15 every year at Masters since hitting the half century. Early this morning Steven Bowditch looked to have discovered the secret to Augusta. He eagled the par-5 3rd and followed up with a birdie on the 4th. Since then he has made two bogeys and two double bogeys. Showing just how tough it is to gain momentum on this layout. The lead group of Bubba Watson and Jordan Spieth will tee off shortly. They will start their round at 5-under the card. John Senden – 1-under after one hole to be T11. Oliver Goss – 10-over after 14 holes to be T46.